Drake I Can Organize Your Life ... With My New App! Drake -- I Can Organize Your Life ... With My New App! Drake is expanding his horizons beyond hit singles and internet memes ... now trying his hand at tech startups. The rapper is sinking some of his fortune into an app that organizes people's lives ... from the shoes they wear to the shirts on their backs. 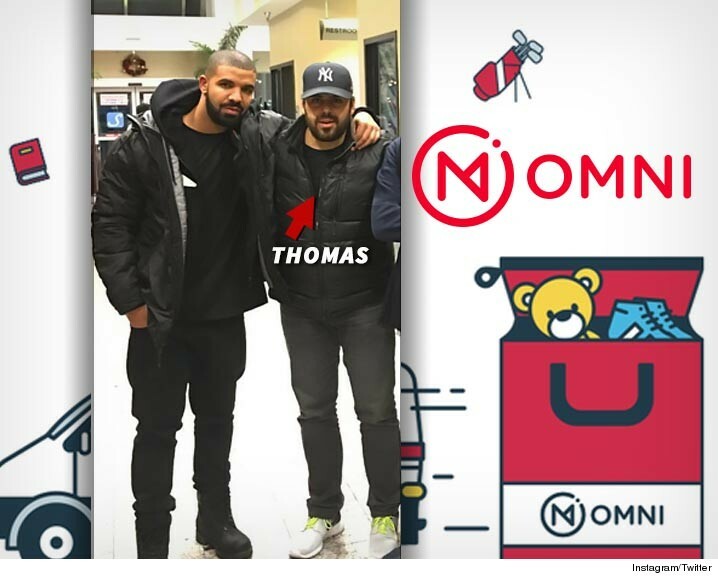 We've learned Drake met the founder of the app, Thomas McLeod through a mutual biz partner and both are sneaker heads. When Thomas told Drake he was launching Omni, Drake jumped to join. Thomas tells us Drake's way more than an investor. He's looking forward to Drake being involved in the creative, and helping it evolve in the future. BTW, Omni organizes and stores the user's personal items. For example, if Drake has 200 pairs of sneakers, he'd send them to an Omni facility nearby where they'd be professionally photographed, stored and logged. When Drake wanted a particular pair, he'd see organized pics, select them, and the pair he wanted would be delivered to his doorstep by an Omni concierge. Drake's not the only celeb who believes in Omni. Other investors include Sophia Bush, NBA'er David Lee and Scooter Braun. Daymond John's -- UBER-MISTAKE ... I Blew a Billion Dollar Deal!! !